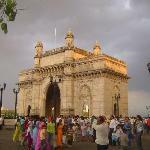 The Gateway of India is of course, the logical place from where to begin your tour of Mumbai. After all, you're following in the footsteps of royalty! The English King George V landed in India in 1911 at this very spot, and the citizens of Bombay pooled money and ideas to build this grand memorial to him. 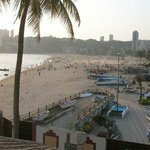 The action starts at night at this famous beach, which is lined with vendors, entertainers, children's rides and fast food stalls selling bhelpuris (puffed rice snacks) and other Indian delights. 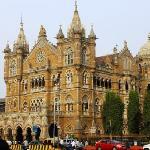 India's most beautiful railway station is a masterpiece of Gothic architecture with stained-glass windows, towering spires, domed arches and buttresses and pillars with animal images carved into them.